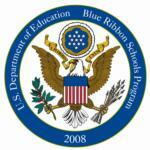 St. Hilary School is a proud two-time recipient of the U.S.Department of Education's Blue Ribbon Award for excellence in education. The school received the honor for the first time in 2001, and most recently received the distinction in 2008. Established in 1959, St. Hilary School proudly celebrates a tradition of excellence in Catholic education spanning nearly 60 years. St. Hilary Parish was established August 1, 1958, by the late Archbishop Edward F. Hoban. Father Edward H. Horning was named founding Pastor and 325 families formed the nucleus of the new Parish. Ground was broken for the new church-school and rectory by Father Horning and Monsignor Hilary Zwisler, Pastor of St. Sebastian Parish, on June 10, 1959. The church opened and the first mass was offered on Easter Sunday, 1960. On September 5, 1960, St. Hilary School opened its doors for the first time to 261 first through eighth grade students. Sister Mary Rose, O.P., served as the first principal, and four Sisters of St. Dominic and one lay teacher staffed the school. Throughout the early years of St. Hilary Parish and School, membership gradually rose each year, necessitating additional staffing and space. In June 1965 ground was broken for the present Church, designed to seat 852 people. A school addition, including the present Media Center and four classrooms, was added in 1969. Also at this time, kitchen facilities and a large meeting room were constructed. The 1970’s saw enrollment rise and hold steady at nearly 450 students each year. Members of the Sisters of St. Dominic, including principals Sr. Mary Charlotte (‘66-74), Sr. Mary Joanne Lamert (‘74-77) and Sr. Mary Conrad Roth (‘77-79) continued to staff the school along with a growing number of lay people. In 1979, Mr. John Antonelli was hired as principal. An additional classroom (room 100), the maintenance office and three additional garages were added to the building in 1980. In 1980, enrollment dropped below 400 for the first time since 1965. A teaching staff of 25 and a 10-person support staff provided a Catholic education for the students. Through the remainder of the 1980’s enrollment slightly increased. Mr. Robert Kochanski served as principal from 1986-1993. Many changes have taken place in the past decade. In 1990, Fr. Thomas Koegel broke ground for the Spiritual Center, which adjoins the church and houses a large gathering area, a kitchen, parish office space and six meeting rooms. At the same time, 4 additional classrooms were added to the school. Enrollment topped 500 students for the first time in 1992 and continued to climb in subsequent years. In 1993, Dr. Patricia Nugent was hired as principal. The following year, the position of assistant principal was added to meet the needs of the increasing school population. Mrs. Karen Alestock was hired as the assistant principal. Both Dr. Nugent and Mrs. Alestock remained in their respective roles until the end of the 2010-2011 school year. In 2011, Mrs. Tracey Arnone was hired as principal and served until 2018. Assistant Principals during her tenure included Mrs. Michele Detore, Mr. Nathan Baxendale, Mrs. Annie Deemer, and Mrs. Jennifer Woodman. Recognizing the growth of the parish and the needs of the school, Fr. Gordon Yahner established the St. Hilary Growth Committee in 1994. After extensive research, this committee recommended a three-phase building project. In 1997 enrollment rose above 600. During this year a second floor, housing 8 classrooms, a faculty lounge and workroom, and a conference room, was completed. At the same time, the school office area was expanded and remodeled. It now includes an outer waiting area, workroom, supply room, assistant principal’s office, principal’s office and clinic. St. Hilary Parish and School continue to be committed to meeting the needs of families. In the second phase, St. Hilary Church was expanded to provide 250 additional seats, a bride’s room and renovated restroom facilities. The third phase of the building project, including the renovation of a new art room, a science lab, the completion of gymnasium/locker rooms, a meeting room, staff office and a beautiful faculty lounge. Today, the school enrollment approaches 600 students in 27 classrooms. A staff of over 70, including teachers, specialists, auxiliary staff, and support staff, is led by principal Mrs. Jennifer Woodman, hired in 2018, and assistant principal Mrs. Darcy Alexander, also hired in 2018. St. Hilary School is recognized as being one of the top schools in this area and was awarded the Blue Ribbon Award as a National School of Excellence in 2001 and 2008. The school also received the Governor's Thomas Edison Award for Excellence in STEM Education in 2017. A commitment to providing a quality Catholic education is our top priority. 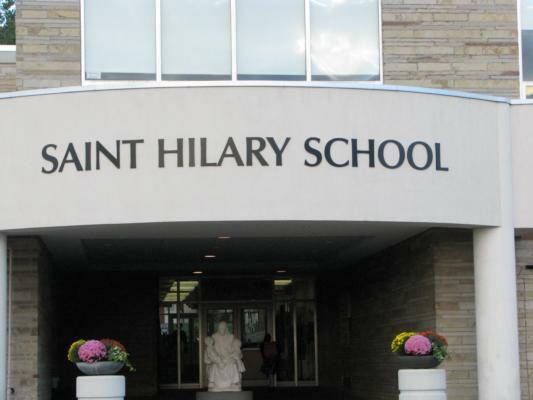 The purpose of St. Hilary School is to create a Christian educational community where a quality Catholic education is offered in an atmosphere enriched by Christian values and beliefs, sound and realistic discipline, and the dedication and concern of a qualified staff. We have set our goals and organized our total curriculum to achieve this purpose. Underlying all our efforts to attain these goals is the belief that each of our students is a unique child of God. Our endeavor is to help them realize their God-given potential to its fullest. Only by working together—teachers, students and parents—can those goals be reached. 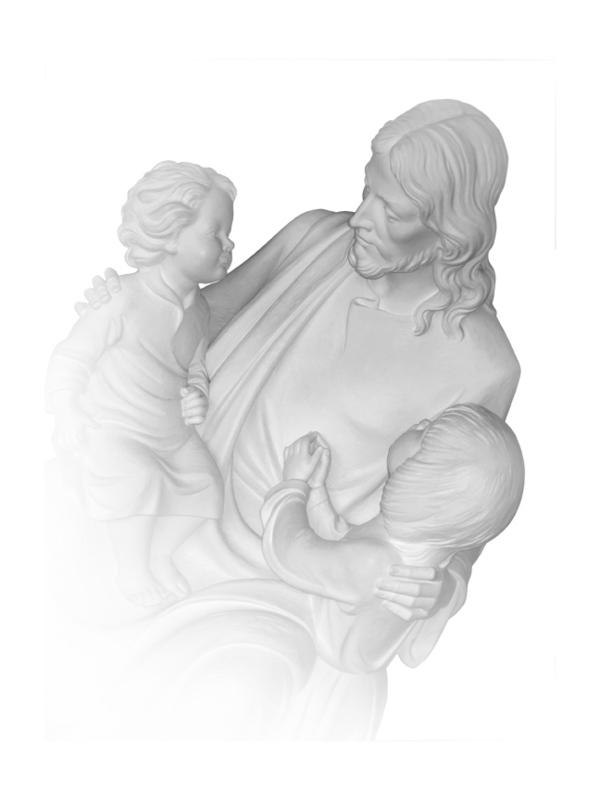 To develop our students' understanding of and loyalty to the teachings and heritage of the Roman Catholic faith, help them to acquire Catholic moral and spiritual values, and provide them with opportunities for prayer and worship. To foster our students' understanding of human knowledge and culture in this technologically advanced world, encourage their powers to reason independently, solve problems, be creative, and to accept responsibility for self-evaluation and continued self-instruction. To help our students acquire a sense of responsibility for themselves, their home, church, school, community, and country. a tradition of excellence in Catholic education. "I felt St. Hilary School prepared me well for high school by offering a rigorous and demanding curriculum. The faculty and staff's interest in each student was obvious every day as they helped each student reach their full potential. I would recommend St. Hilary to anyone who is looking for a serious, top-notch education."